Conquering various terrains is but one reason I quickly learned to value my new Merrell Bare Access Flex trail running shoes. They also solved a personal dilemma that had plagued me for years. I'm the first to admit that when it comes to my enthusiasm for trail running, I've been known to spend a good chunk of change on new products — as long as they fulfil their advertising promises. 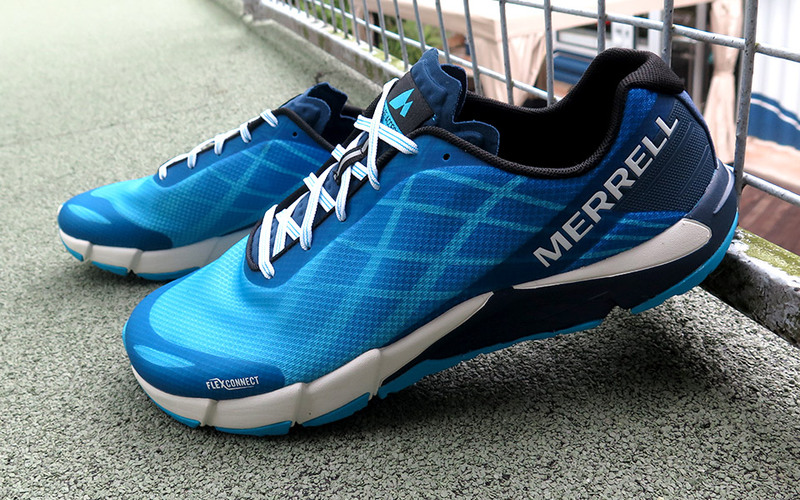 Reading about the Merrell Men's Bare Access Flex sparked my interest because innovations like the FLEXconnect system that delivers performance perks got my attention. Merrell claimed these shoes can take me from trail to road and everywhere in-between and the price didn't stop me in my tracks. I got a pair in blue and no matter where I took them, they performed like champions...but the biggest surprise of all was getting help with my foot odour problem! Who knew a shoe could be this versatile? 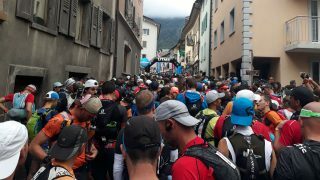 The FLEXconnect system never met a terrain it couldn't conquer: wet trails, dry trails, endless pavement, uneven terrain. Bring it on. 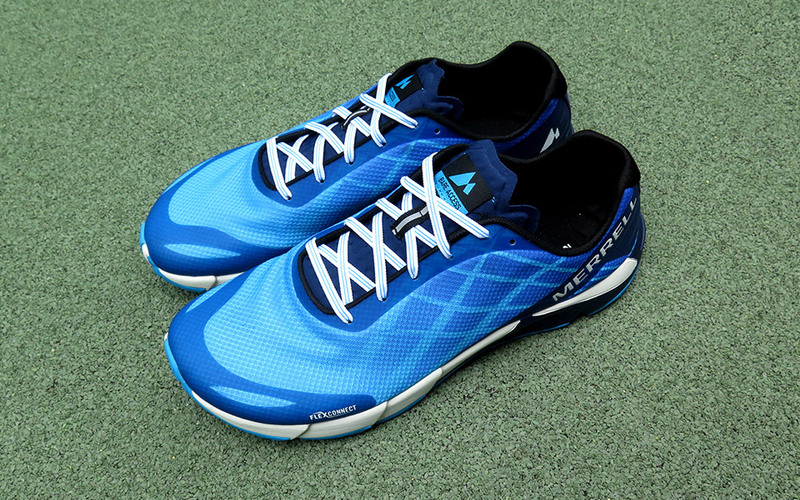 It's the dual directional EVA midsole that controls the action aided by M Select GRIP+. That's a fancy way of saying grooves built into the soles grip surfaces like an angry Pit Bull. While the Bare Access Flex features traditional lace closures, there's nothing traditional about the way these shoes are engineered. The Hyperlock TPU heel counter grips your foot so sharp turns and quick descents don't put your feet at risk of sprains and other injuries. But for me, the biggest revelation was yet to come. Got sweat issues? Join my club. My feet require constant care to make sure running mates don't abandon me when we get together socially. 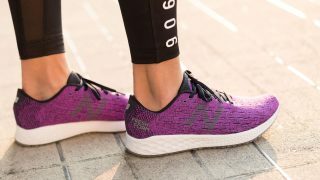 Merrell Bare Access Flex features that keep odour to a minimum include breathable mesh that allows the flow of fresh air as the lining breaks down microbes that trigger odour. Those antimicrobial properties keep working: they deal with bacteria reproduction as long as I have them on my feet. I found the shoes to have just the right amount of arch support and cushioning. Not too much. Not too little. The break-in period was so smooth, I didn't have to open my first-aid kit to dig out Band-Aids once. Air flow is refreshing and those antibacterial-fighting properties may have saved some of my friendships! The wide toe box suits my toes; they're neither squashed together nor subject to injury from too much room. This footwear is designed for all sorts of terrain yet they're amazingly lightweight. You could have a little issue to get a perfect fit if you need ½-size as there is no availability of ½-sizes. There's nothing out-of-the-ordinary about the design. It's nice but no candidate for a running shoe fashion show. 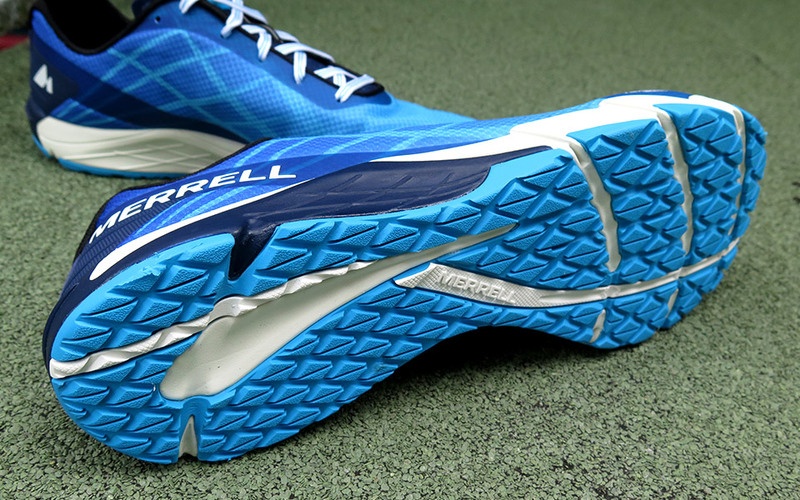 Not every runner finds Merrell technology to suit their running proclivities. I'm a fan. You may not be one. Had issues with zero-drop shoes in the past? This shoe might not be suitable for you. My Merrell Bare Access Flex shoes are too new to report surface scuffing and Vibram forefoot peeling issues, but I'm keeping Loctite vinyl/fabric glue on hand after reading about others who have run into both problems. Call me a creature of habit, but my final criteria — when I weigh the merits of new gear, clothing and especially running shoes — is having no regrets after getting it. 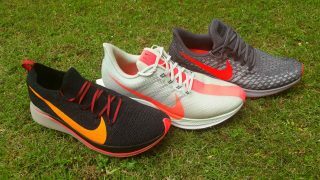 I can say this without reservation because I got high-performing footwear from a company I respect. I'm no style stud, but I like the look of these shoes because they're sleek and masculine. "They go with everything in your my running wardrobe." 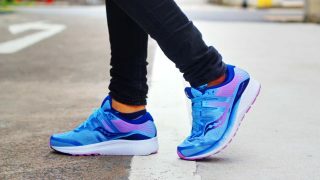 I'd like to make note of the shoe odour issue touched on throughout this review because I consider it one of the biggest reasons I find these running shoes to be compelling. When I'm at the mercy of my running club's criticism, the guys insist that my feet remind them of Durian fruit: no problem until you crack open the skin and let loose an odour that's been banned from some Singapore buildings and transport. After I started wearing my new Merrells, they stopped making jokes. I knew I had found help with my embarrassing dilemma. What's the latest comment from the guys? They are thinking of writing a thank you note to Merrell. I offered to pay the postage! 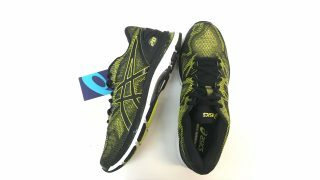 How often do you pick a running shoe because you are hoping it will solve a personal problem that no other shoe has been able to solve? 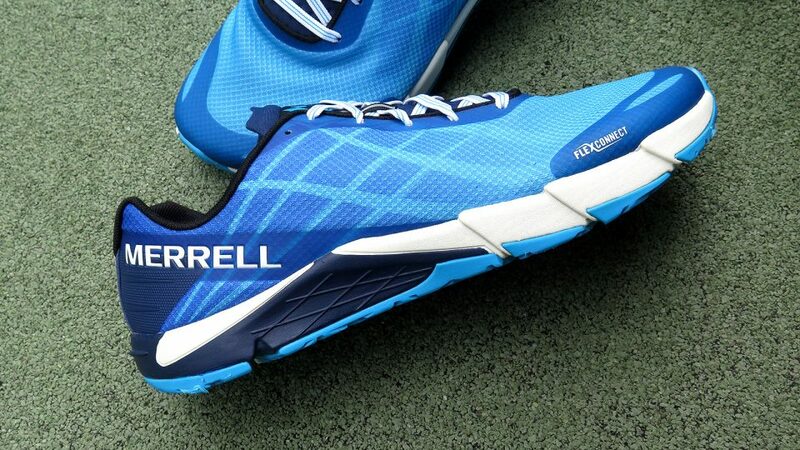 Merrell Bare Access Flex is priced at $109 and will be launched in Royal Sporting House stores in mid August. The Merrell Training Ground will be a guided trail running session led by seasoned trail runner and founder of Train Live Compete, Liew Wei Yong. 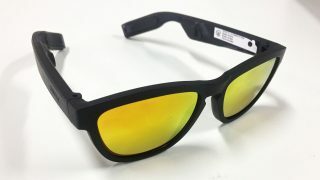 Participants will receive a pair of the latest Bare Access Flex (worth $109) and put it to test at Bukit Timah Nature Reserve. They will also receive a goodie bag (worth $150) which includes Merrell drawstring bag, Nalgene water bottle and more. It will be an hour guided tour followed by a talk where light refreshments will be served.